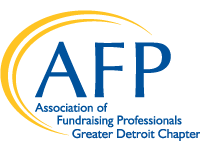 If you are a new or emerging fundraising professional, this program is for you! Join us for a half-day workshop to learn the fundamentals of fundraising, led by experienced fundraising professionals. Attendees are welcome to join in a complimentary networking mixer following the workshop—a great way for new fundraising professionals to meet others in the industry!